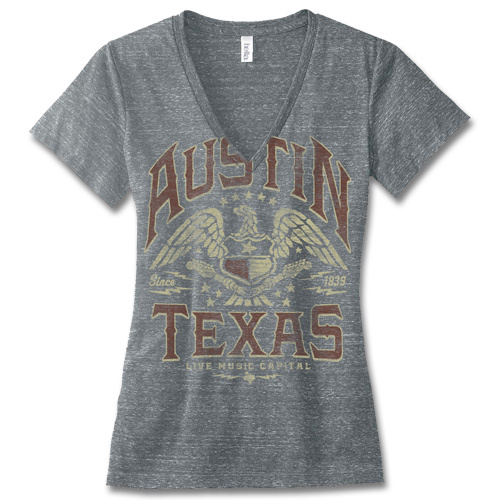 Outhouse Script - Ladies' Black Tee [5635LTBK] : Outhouse Designs Screen Print T-shirt Store, Keep Austin Weird! Wanna be the coolest kid on the block? 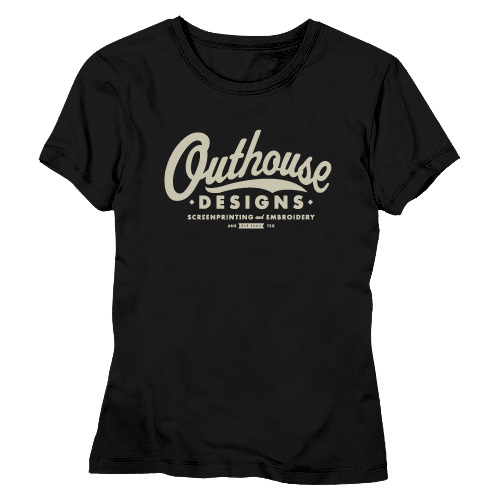 Represent with your very own Outhouse Designs tee! 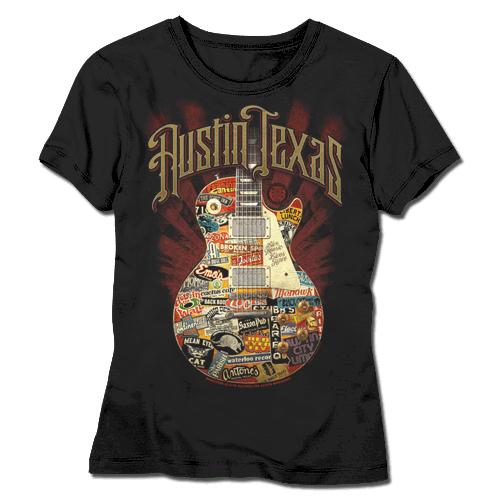 Printed with discharge ink, the result is an ultra soft and comfortable shirt. Available as a front print on a black Gildan SoftStyle 64000L 100% cotton ladies' shirt.